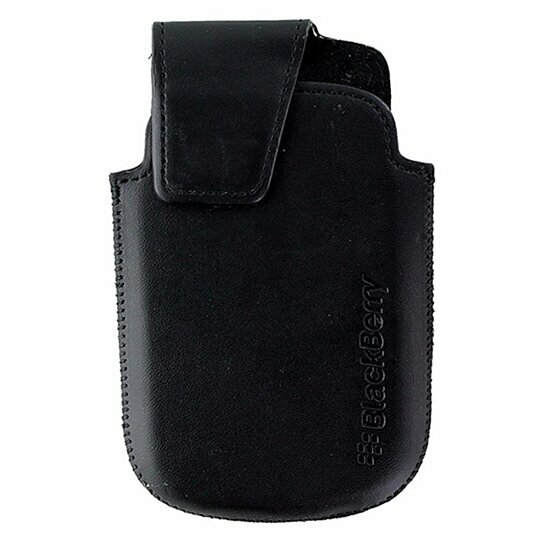 BlackBerry products, Leather Pouch with Clip for BlackBerry Bold 9900 / 9930. All Black Synthetic leather finish. HDW-38842-001. New, unused item.